Located 5 minutes north of Ladysmith town center. 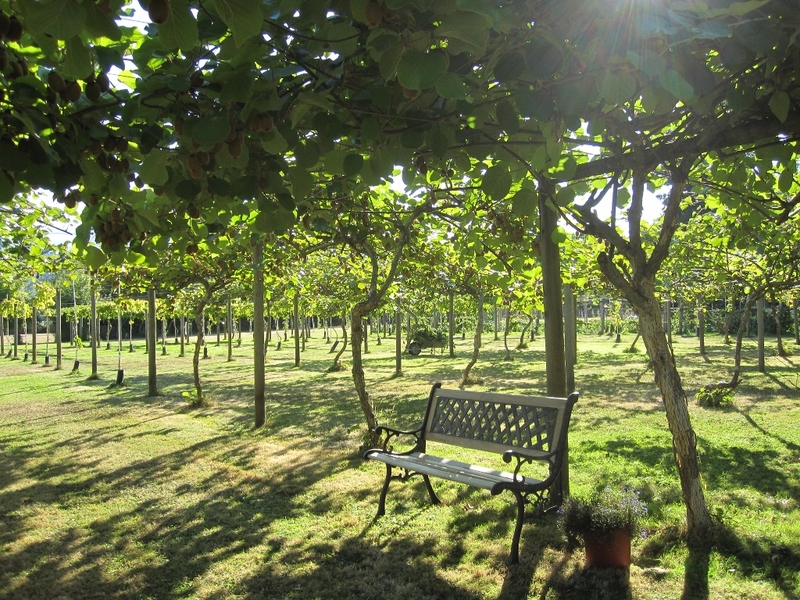 Ten acres of peaceful green space, estuary waterfront, 12 spacious guest rooms overlooking a kiwi vineyard, free internet service, kiwi cuisine, retreats, reunions, weddings, and one self contained cottage for longer stays. 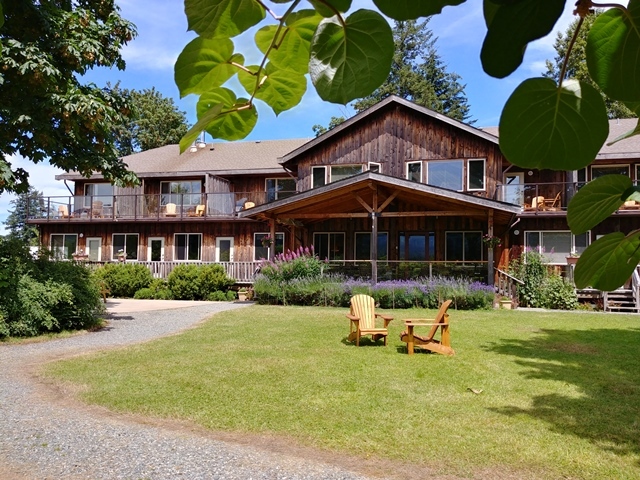 Delight yourself in these peaceful lodge accommodations on Vancouver Island with a growing kiwi farm just outside your door. Set in the fresh countryside, this rustic beauty has 12 spacious and bright guest rooms which will make you drop your shoulders and say Ahhhh! Stroll the ten acre park-like property and linger on the estuary waterfront on Vancouver Island to observe the wildlife. 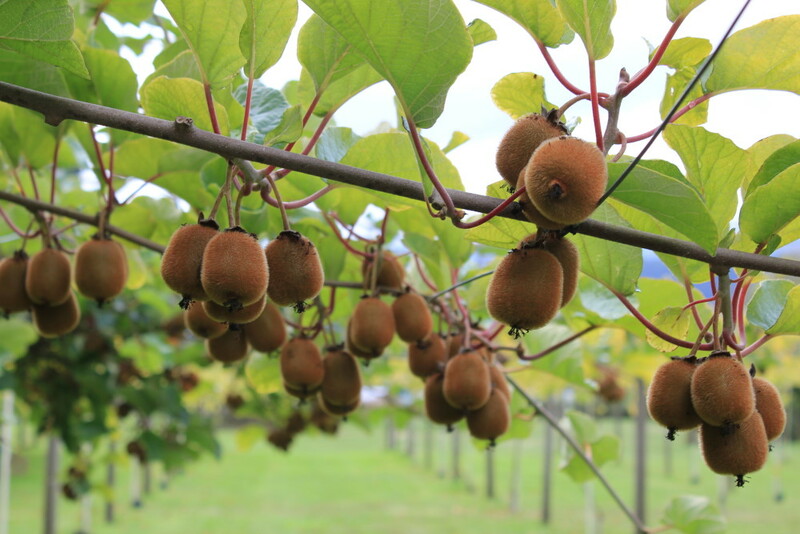 You will learn many surprising things about kiwi fruit during your stay. Taste delectable kiwi goodies and see kiwi cove paintings done by local artists. Check out our new kiwi recipes too! The large dining room at Kiwi Cove Lodge provides warm, old fashioned breakfast hospitality with an eye level view of the kiwi vines, mountains, and Ladysmith Harbour. There are several good restaurants in the countryside nearby. Easy to find, easy to stay, get away to Kiwi Cove Lodge – your tranquil home base accommodations for day tripping on Vancouver Island. Kiwi Cove Lodge is only 3 km south of the Nanaimo airport towards Ladysmith. Watch for the sign to turn left on Brenton Page Road then, exactly 1 km and you’re there!